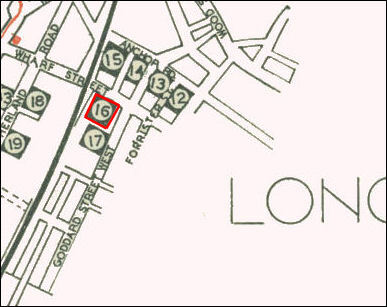 Established c.1795 in Lane End at the market Street Works. 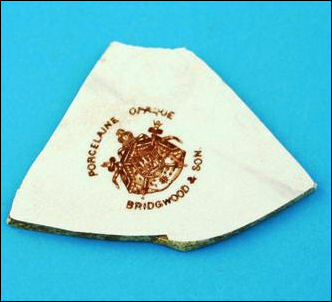 In 1805 the firm is listed as Samuel Bridgwood and Son, earthenware manufacturers. 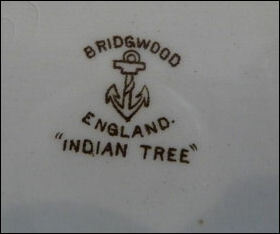 In 1818 Maria Bridgwood and Kitty Bridgwood & Son are listed separately as earthenware manufacturers in Market Street. 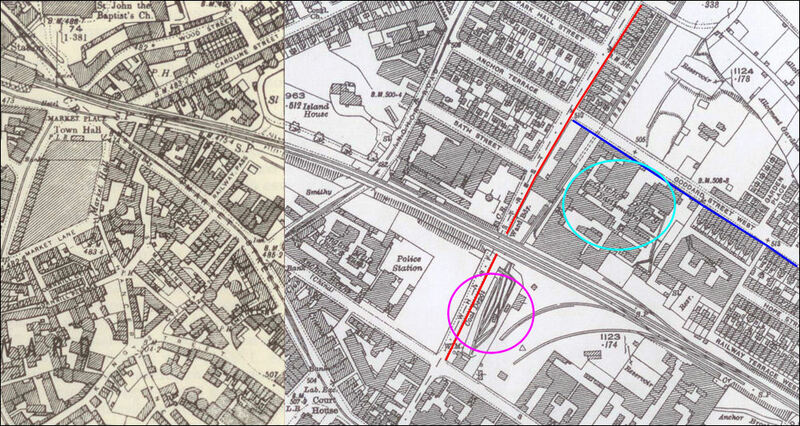 Later the works passed to Sampson Bridgwood who continued the business in Market Street and then in Stafford Street - the works were later demolished to make way for Longton covered market. 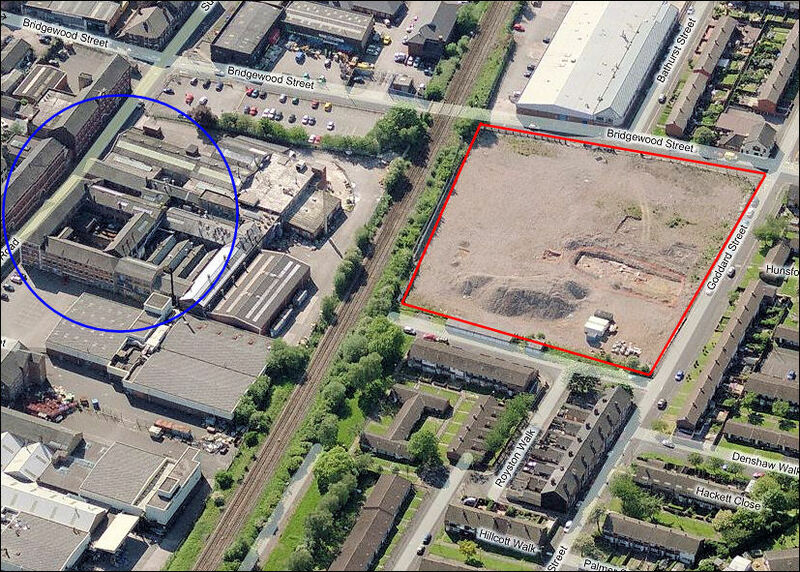 Sampson Bridgwood then took over the Anchor Pottery (at the corner of Wharf and Goddard Street) in 1853 where bone china and later, earthenware was made. Sampson Bridgwood died in 1876. 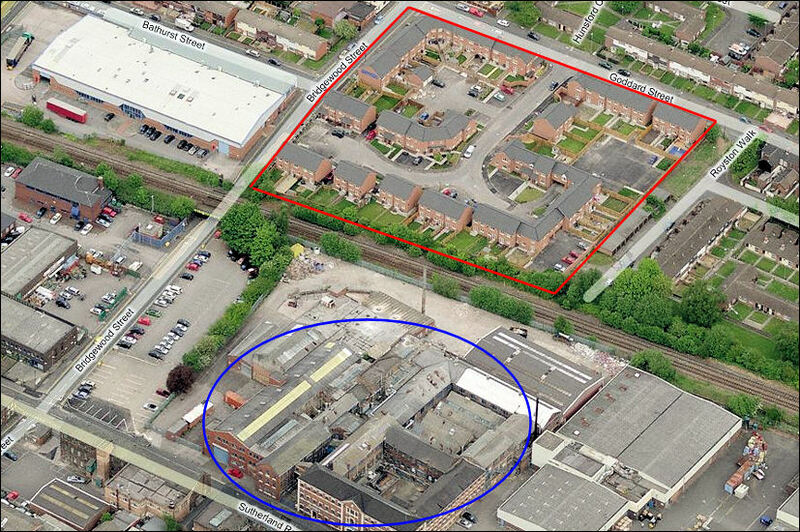 The business continued although the Bridgwood family were no longer involved, in 1890 John Gerrard Aynsley took over the business - the name Bridgwood & Son continued to be used. 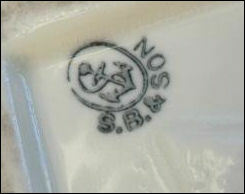 Bridgwood & Son continued until the 1990's when it was subsumed into Churchill China PLC. 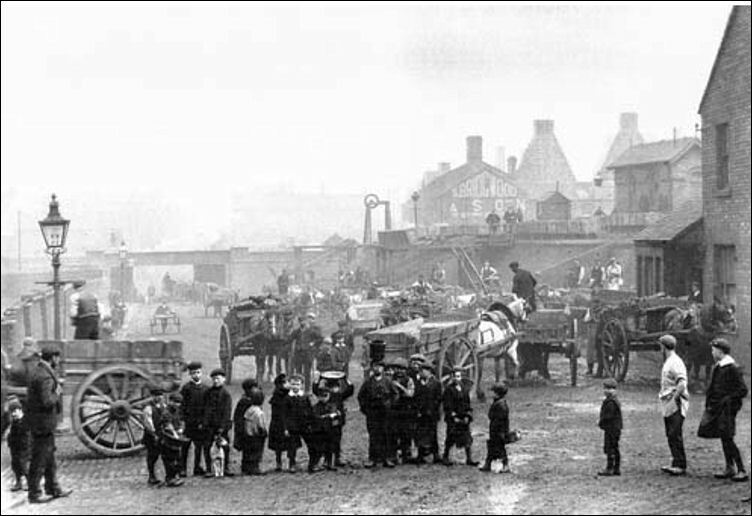 Children wait patiently to pick up small lumps of coal dropped by the coal merchants. Once bought by a merchant then dropped in transit the coal became fair game. Children would hurry the coal home for use on the fire. Domestically, coal was used for heat, to cook and to heat water. 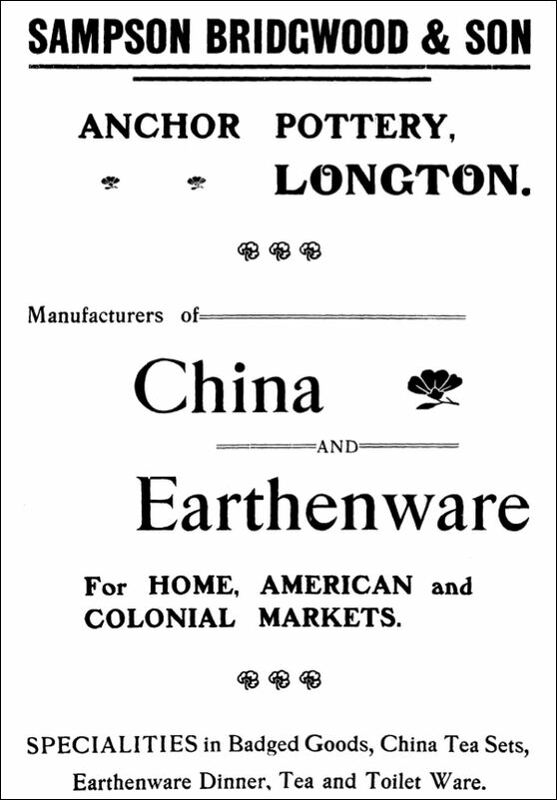 12 R. H. & S. L. Plant, Ltd. / Decoro Pottery Co.
13 Longton New Art Pottery Co., Ltd.
14 Dinky Art Pottery Co., Ltd.
15 British Anchor Pottery Co., Ltd.
16 Sampson Bridgwood & Son, Ltd.
18 John Aynsley & Sons, Ltd.
Sampson Bridgwood & Son, who were extensive manufacturers, first carried on business in the Market Street Works, and next for many years at a manufactory in Stafford Street, originally occupied by G. Forrester, which was purchased by the Commissioners of Longton and pulled down for the erection of the market buildings. 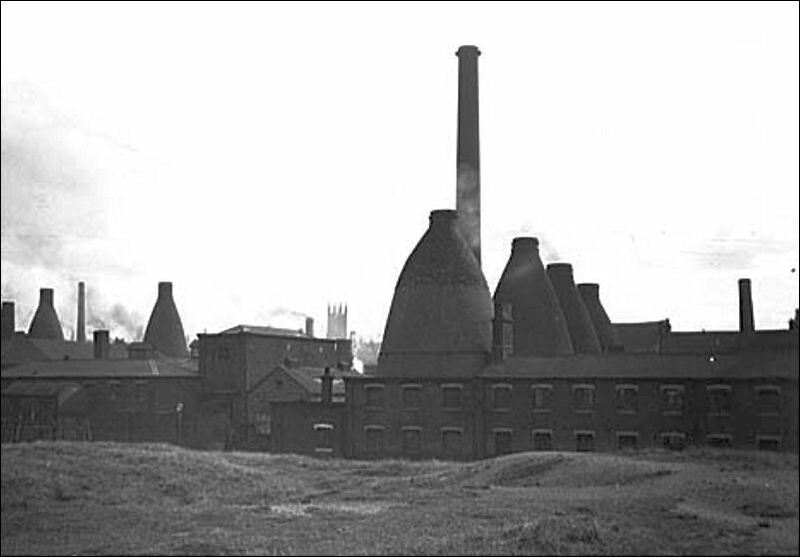 They then removed to the Anchor Pottery (in about 1853), where they produced both china and earthenware. 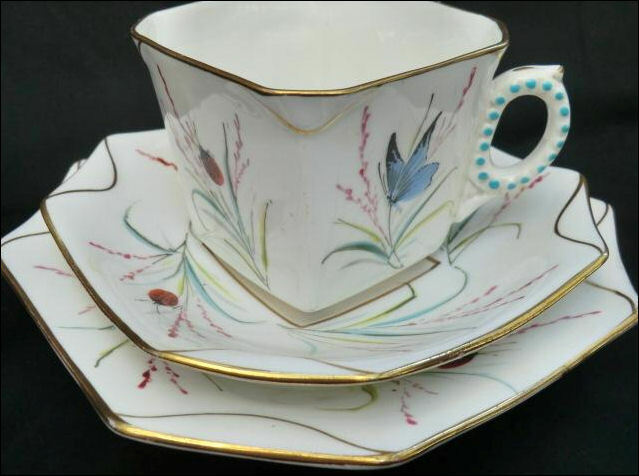 In china, all the usual tea, breakfast, and dessert services were made - partly for the home, but principally for the United States and Canadian markets. 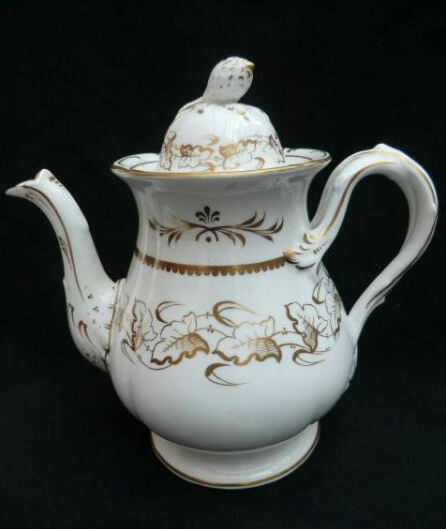 In earthenware, white granite was made for the United States, Australian and Canadian trades. The speciality was what was technically called 'Parisian granite' (stamped 'Limoges'), which has a fine hard durable body and excellent glaze.